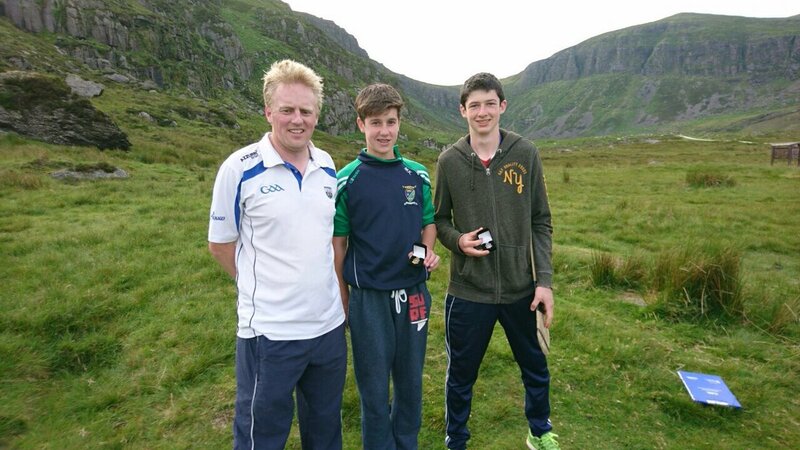 Congratulations to Michael Kiely who won the U16 County Poc Fada title in the Mahon Falls on Monday night last. Michael will now go on to represent the club and county in the Munster Final on Saturday, 2nd July in the Michael Cusack Centre in the Burren, Co. Clare. All in Abbeyside / Ballinacourty wish Michael the best of luck in the provincial decider. L to R: Eoin Breathnach, Waterford GAA Coaching and Games Committee, Michael Kiely, U16 County Poc Fada Champion and Ciarán Ó Mathúna, An Ghaeltacht, Runner Up.